2016 was a very busy year in terms of fabric restoration at both our churches. At St John’s Church, Little Gidding, the restoration of the fabric at the east end has been completed with the provisions of new stonework. The three windows in the nave have been fully restored. 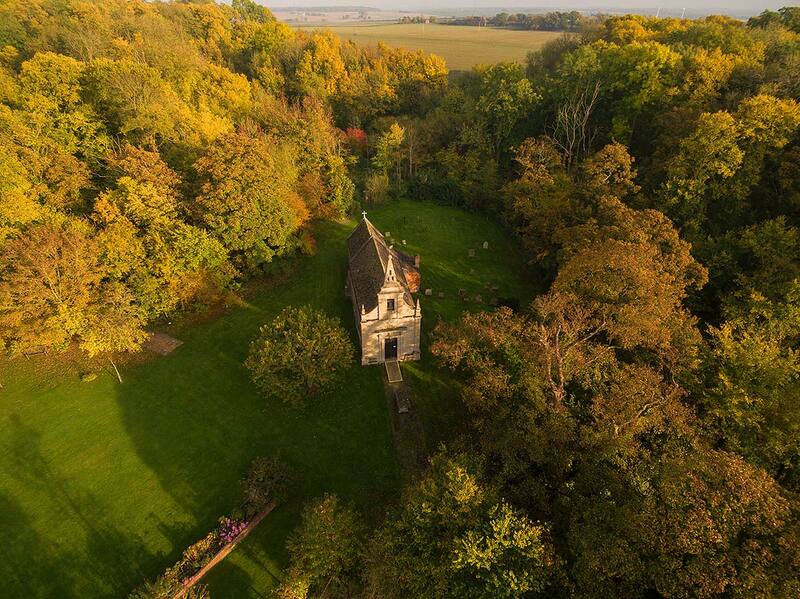 This has been financed with generous donations from the United States, the Friends of Little Gidding and, appropriately, from Judith Hodgson in memory of her husband, Revd Tony Hodgson. Other minor works to the fabric of the Oratory, and the wooden arch in the nave have been completed. Work on securing the lectern will start shortly. Work to be carried out in 2017 include the restoration of the text over the west door, and the treatment for woodworm (where applicable) to any woodwork in the church. The one major project outstanding is the rehanging of the church bell (cost c.£7000) and that is being deferred for the moment. 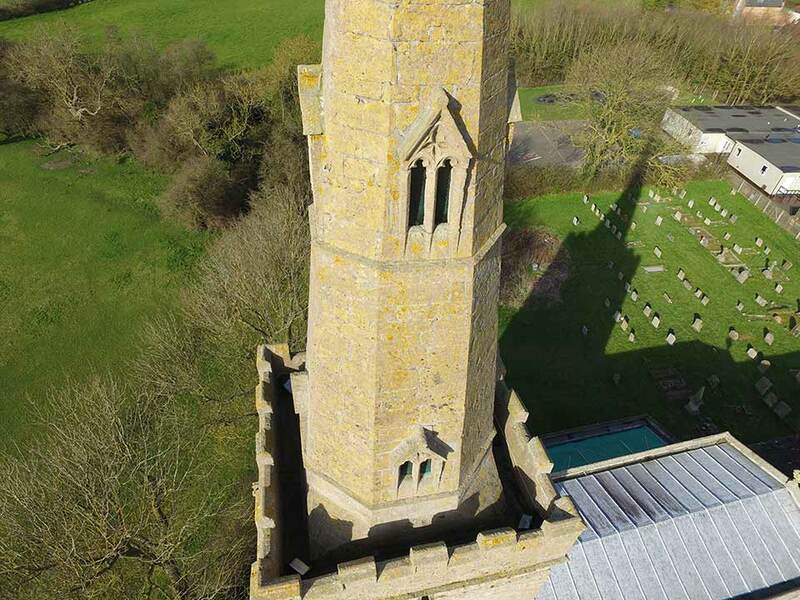 Moving to St Michael’s Church, in the early part of the year, the ‘window lights’ in the spire were repaired to stop the ingress of jackdaws into the bells. However 2016 was dominated by a virtual re-roofing of the church. 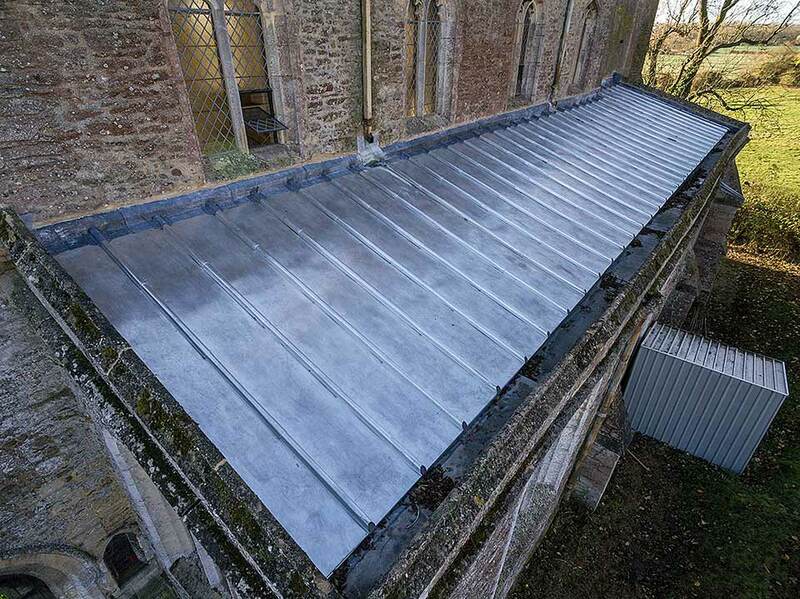 The collyweston roof of the chancel has been totally restored, and a new ceiling installed in the chancel. Shortly some of the lighting in the chancel will be upgraded. 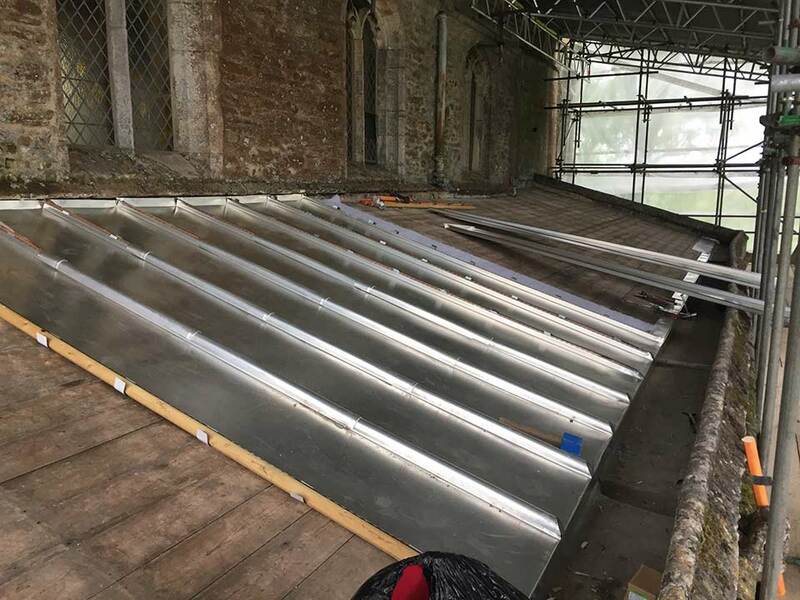 Moving onto the areas where the lead was stolen, the south aisle roof has been restored using lead, whilst the north aisle roof has been restored using terne-coated stainless steel. At the same time the opportunity was taken to repair some small fissures in the lead on the nave roof which had been identified by the Quinquennial Inspection. Finally a roof alarm was installed to provide protection as well as to ensure total insurance cover. The water downpipes of the church have been painted with ‘anti climb’ paint, and appropriate notices erected. Thus the church is now watertight for the foreseeable future. None of this would have been possible without the generous financial support of the Government backed ‘Listed Places of Worship Roof Repair Fund’, for which the church authorities are very grateful. Equally the paperwork & project management associated with these two roofing projects has been enormous, and all this was successfully navigated solely by John De Val, to whom an enormous debt of gratitude is due. Internally, water damage was confined to the north aisle. The prompt action of John De Val and Bruce Jordan saved the organ from major damage, and the instrument has now dried out and emerged unscathed. The two illuminated wall memorials were water damaged and are now being restored by a paper specialist. The walls of the north aisle will need some re-plastering and re-decoration and this will be carried once the new church architect is in place. All this work is covered by insurance. Many other people within the community have given support in many differing ways, and we would like to express our deep thanks for that support during a very difficult year. Finally, I include the maintenance of the churchyard within this report and would like to thank the Friends of St Michael’s Church, and our grasscutters for all their hard work and commitment. Earlier in this report, reference was made to a new church architect. 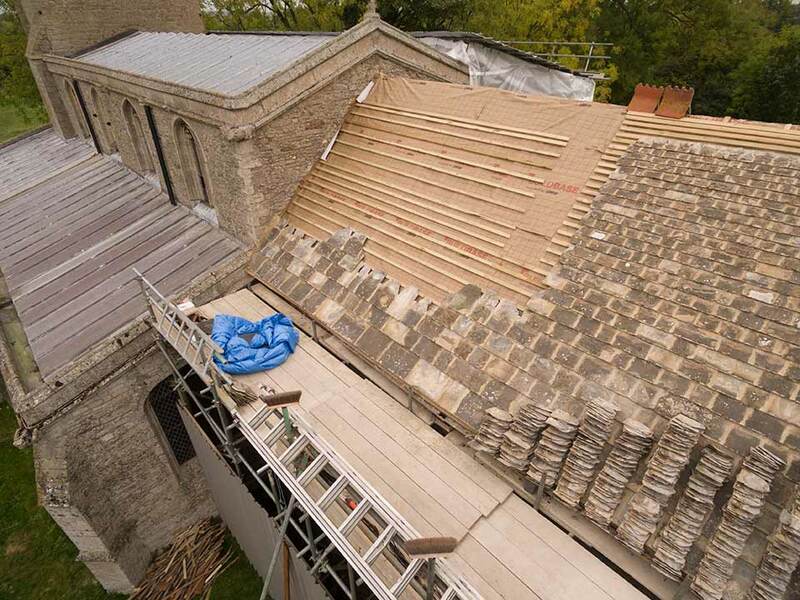 In September, Canon Julian Limentani of Marshall Sissons retired as the architect to both of our churches, although he kindly kept an eye on things until the roofs were completed at the year end. Our thanks to him for his forty plus years in the post. 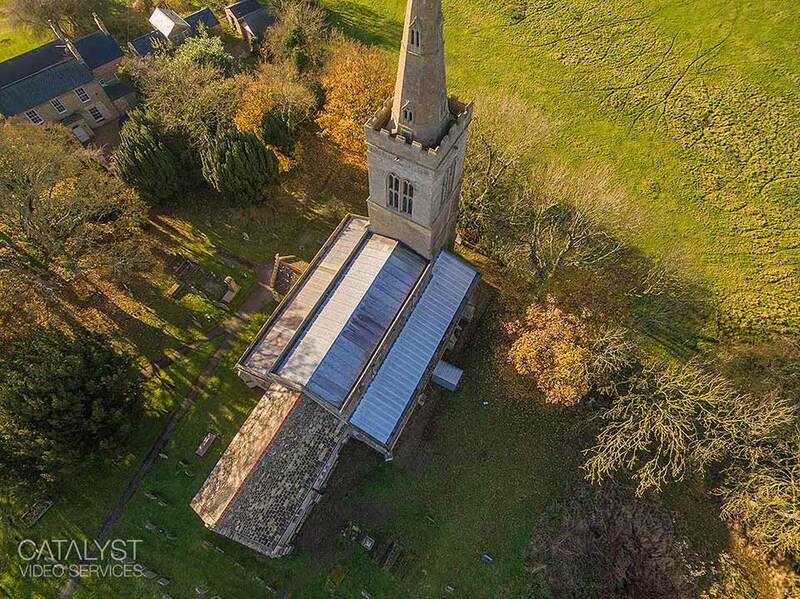 Once a new architect is appointed shortly, his two immediate tasks will be the movement on the north side of the chancel arch and the restoration of stonework at the tip of the spire and the weathervane. In conclusion, the church can be said to be in good condition.